Happy Caturday everyone! Both my humans are working today so I’m just chilling out and relaxing! There’s really nowhere more comfy than the sails to snuggle up on! That looks like a spectacular place to spend your Caturday, taking in the breeze and all of the wonderful sights and smells around Nocturne. Isn’t it great being a kitty and not needing a silly job? You’ve got quite the life, Bailey! Looking very comfortable. Whee might be tempted to nap there too! Hi Bailey! 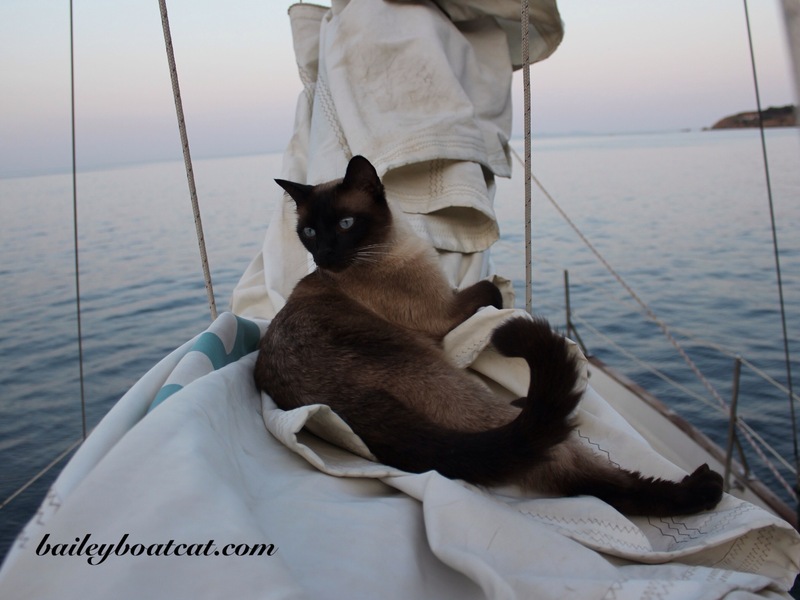 Well you DO look quite comfy snuggled up to your sails but I’m wondering which you prefurrrrr – sails or laps??!!! !